Chess Master Challenge is one of those games that is clearly built and flows so well that it has certainly earned a reputation as being one of the hottest chess games in the world. Clean, clear and fully adaptable to any skill set, the creators have built a game that is inviting to both the novice and expert player. Rarely does a game have such universal appeal and ability to bridge two different levels of skill. It?s not enough to read about Chessmaster Challenge. You just have to play it. 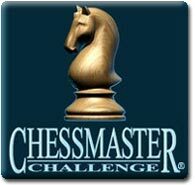 The nice thing about Chessmaster Challenge is that it is not imposing nor is it at all intimidating as one would think. It?s all due to the simple design and friendly main menu interface. From the moment you begin, you are welcomed into the chess world with your own ?avatar?. Having assumed your character and name, you are presented with an opponent of your own choice who is clearly humanized and looks every bit like ?uncle Joe your school teacher down the street or even your best friend?s sister! Next, you are offered three choices: Play the Game, Learn how to play, or enter the practice area where you can test your strategic skills and game knowledge.